This section shows how, at a very high level, Amazon Rekognition's objects and scenes detection capability works. When you specify an image as input, the service detects the objects and scenes in the image and returns them along with a percent confidence score for each object and scene. 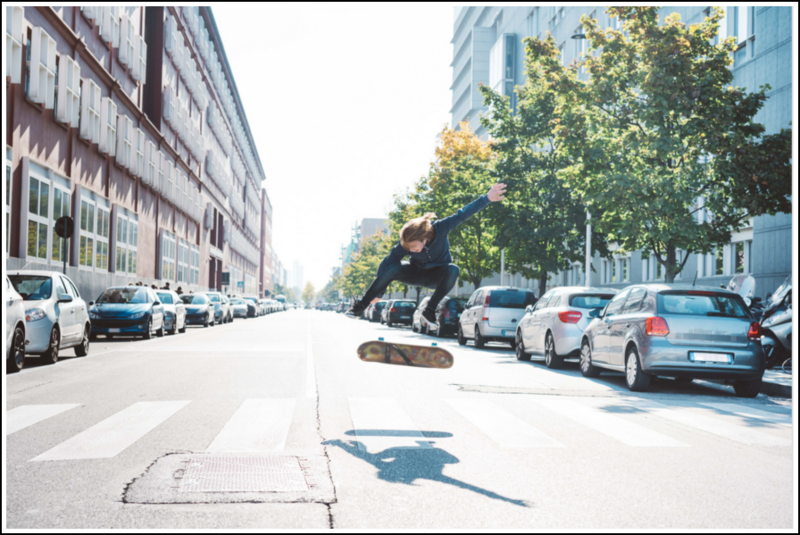 For example, Amazon Rekognition detects the following objects and scenes in the sample image: skateboard, sport, person, auto, car and vehicle. 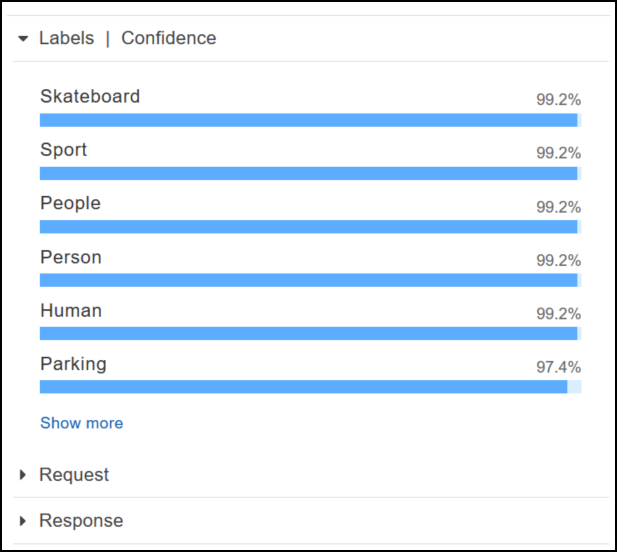 To see all the confidence scores shown in this response, choose Show more in the Labels | Confidence pane. Amazon Rekognition also returns a confidence score for each object detected in the sample image, as shown in the following sample response. You can also look at the request to the API and the response from the API as a reference. For more information, see Amazon Rekognition: How It Works. You can upload an image that you own or provide the URL to an image as input in the Amazon Rekognition console. Amazon Rekognition returns the object and scenes, confidence scores for each object, and scene it detects in the image you provide. The image must be less than 5MB in size and must be of JPEG or PNG format. Open the Amazon Rekognition console at https://console.aws.amazon.com/rekognition/. Choose Object and scene detection. Upload an image – Choose Upload, go to the location where you stored your image, and then select the image. Use a URL – Type the URL in the text box, and then choose Go. View the confidence score of each label detected in the Labels | Confidence pane.